“Citizen science,” or the participation of people outside academia in the production of scientific research, is on the rise. While citizen science projects have existed for decades, several enterprises, including Zooniverse , Aurorasaurus , iNaturalist , NASA’s Landslide Reporter , and PressureNET  have appeared in the last decade alone. These platforms allow anyone to participate in data collection and classification for academic or government research projects. While citizen science seems like a great way to expand scientific research beyond the walls of universities and private companies, many projects have been criticized for using participants merely for free data collection labor for academic scientists . Most citizen scientists never participate in experimental design, analysis of results, or the publication of findings. Additionally, while citizen science would seem to encourage greater scientific literacy among the general public, some have argued that the movement for citizen science is actually motivated by reactionary hostility toward experts . The general public can and should contribute more to scientific projects than data collection labor. But citizen science is not a manifestation of right-wing science denial and distrust. Because members of the general public are capable of doing good science, inclusion of citizens will improve scientific results, and demanding free access to the means of production of science will improve both science and society, we on the left should support efforts to increase participation in citizen science. Specifically, we should advocate for the expansion of citizen science initiatives that encourage nonspecialists to participate in not just data collection but in every stage of the scientific process. The idea that scientific data and publications should be freely available rather than locked behind paywalls already has broad support on the left. The idea that people should also have free access to laboratories with scientific instruments and permission to submit publications to professional journals is rarely discussed, and it is often criticized. Critics of this conception of citizen science argue that it will lead to an excess of scientific information, most of which will be low-quality data, and possible misuse of scientific research. However, information overload and the use of science for ethically dubious purposes are already rampant problems. The corporatization and casualization of academic labor has created a “publish or perish” environment in academia , where academics are pressured to publish larger volumes of work in order to keep their jobs. This has led to a surplus of low quality publications . In regard to the misuse of research, one need only read about atrocities like the Tuskegee Syphilis Experiment , the bombings of Hiroshima and Nagasaki, the CIA’s enhanced interrogation techniques , and the health effects caused by pesticides like atrazine  to see the appalling cruelty with which academics, governments, and corporations have used science and technology. In fact, these problems that critics claim will be caused by the expansion of citizen science will actually be ameliorated by it. In regard to information overload, most amateur scientists have jobs and other responsibilities, and thus are generally not able to produce the same quantity of work as professional researchers. Additionally, amateur scientists almost always work with professional scientists for training and guidance, and thus, rather than publishing on their own, they tend to collaborate with professionals to produce rigorous studies (collaboration tends to increase the impact of studies in terms of citation rates ). And because citizen science should train and encourage amateurs to participate at all stages of the scientific process, non-specialists can help reduce information overload and improve the quality of submitted publications by contributing to peer review. It is inevitable that some amateur scientists will misuse their work, such as to support oppressive or generally bad ideas. Members of the general public are not immune to the prejudices that have plagued professional researchers throughout the history of science. But there are fewer motivations for misuse among amateurs than among professionals. Independent scientists have fewer incentives to misrepresent their findings than scientists under pressure to receive tenure or to please organizations that fund their research . Thus the argument that citizen science will lead to higher rates of misuse seems weak. quite prominently in the fields of paleontology and astronomy, which have a rich history of collaboration between professional and amateur scientists. These two disciplines are distinguished from other natural sciences in that they are dependent on the collection of large amounts of field data, and collection of these data generally does not require large amounts of technical expertise. Because professional astronomers and paleontologists can only spend limited amounts of time gathering data from the innumerable stars and fossils yet to be identified and studied, they benefit from the extra data provided by amateurs. Paleontology is deeply indebted to the work of citizens like Mary Anning , an impoverished woman with no formal education who discovered the first ichthyosaur skeleton to be properly identified and contributed to the discovery that coprolites are fossilized feces in the early 1800s, and Stephen Felton , a contemporary amateur who has published important papers on crinoid taphonomy and paleoecology with colleagues on the prestigious paleontology faculty of the University of Cincinnati. In astronomy, amateurs continue to discover numerous comets, stars, galaxies, supernovae, and other objects, including the first mysterious “yellow balls”  that were later found be signs of the early stages of massive star formation. One amateur astronomer, Rev. Robert Evans , has visually discovered more supernovae than any other astronomer, amateur or professional. One of the supernovae he discovered, 1983N, was found to be the first example of a new type of supernova, now called a Type 1b. It is clear that citizen scientists are capable of producing valuable scientific work beyond simple data collection, and continue to do so despite the professionalization of academic research since the days of “gentleman scientists” like Benjamin Franklin and Michael Faraday. But why should we advocate for inclusion of all people in the process of science? Not only are citizen scientists able to produce good science, but collaboration between amateurs and professionals has the potential to provide us with higher quality results. This has previously been shown in studies that consulted people outside the academy with knowledge of the phenomena being analyzed. Ecologist Richard Levins stated in “Class Science and Scientific Truth” , a keynote address delivered to the New York Marxist School, that scientists can learn a lot from different people in different trades. He uses the example of Cuban meteorologist Fernando Boytel, who gathered data from peasant charcoal makers, windmill builders, and others who work with wind and have enormous knowledge and various perspectives about its patterns. Boytel was able to synthesize what he learned from the people he interviewed with scientific observation and wrote a respected book, Geografía Eólica de Oriente (Wind Geography of Oriente). His methodology allowed him save enormous amounts of time directly studying wind patterns. One objection to Boytel’s methodology is that, despite these workers’ intimate knowledge of the wind, their knowledge cannot be as accurate as that attained from rigorous scientific observation and experimentation, and thus it should not be sought out. This is a fair point because often this knowledge is local and gathered from experience. For example, Boytel found that peasants in one specific valley believed that all trees grow toward the wind, a statement that is generally not supported by scientific findings because growing toward the wind should dry out the trees. But Boytel discovered that the unusual topography of the valley caused sunlight and wind to come from the same direction, and thus trees did in fact grow toward the wind. While Boytel’s study would have been somewhat inaccurate if his only data came from these interviews, his study was ultimately enriched by integrating observational knowledge and peasants’ knowledge from experience. 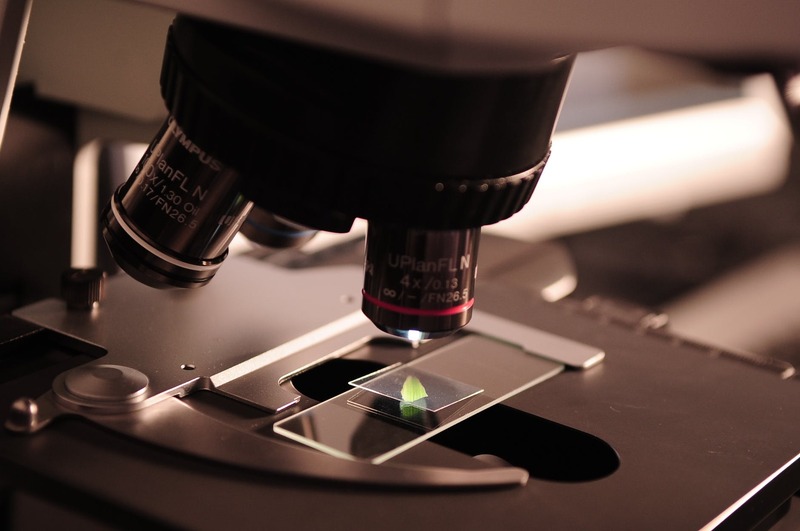 Beyond providing different perspectives to scientists, members of the broader public contributing to scientific discovery would likely challenge the justifications of social inequalities found in many studies, especially in biology and the social sciences. This is because the directions that different sciences take, most notably due to what questions get asked and answered, are influenced by the schemes of values held by the people asking and answering questions at a given time and place. Philosopher of science Philip Kitcher distinguishes three types of schemes of values that influence science: a broad scheme of values, which encompasses the wide range of ideals that people have for themselves and for society; a cognitive scheme of values, which consists of the kinds of knowledge that one deems important; and a probative scheme of values, which comprises the priorities one has in determining which questions should be answered and in what order. When the points of view of citizen scientists are included, a greater diversity of schemes of values will guide the progression of science (though citizen science initiatives need to increase the representation of participants from underrepresented groups ). For example, in recent years there has been a decline in the number of paleontologists who work in the field of systematics, the study of how life forms have diversified and how they are evolutionarily related to one another . Jobs in paleontology today (which are sadly rare and becoming rarer) tend to go to specialists who work in newer fields like paleoecology and paleoclimatology, which focus more on broad patterns rather than on individual organisms. Because systematic information is the foundation of all paleontological studies, this decline threatens to bring progress in paleontology to a halt. While many scientists recognize this problem, those willing and able to do systematic labor have been and continue to be pushed out of academia. Citizen paleontologists, who mainly do field collection, especially recognize the importance of systematic work in providing a more complete picture of past life in the field sites they study . Thus we can conceive of today’s professional and citizen paleontologists as having different probative schemes of values. While professionals and amateurs alike tend to recognize the importance of systematic knowledge, and therefore share this in their cognitive schemes of values, amateurs generally believe that questions in systematics should be afforded the same if not greater amounts of attention and funding as questions in other paleontological fields. In order to save paleontology, we must include more practitioners who hold probative schemes of values that emphasize systematics. Thus, greater inclusion of citizen paleontologists, who are usually eager to conduct systematic studies, is critical. In 1971, in an issue of the radical environmentalist magazine Survivre et Vivre, mathematician Alexander Grothendieck contrasted science as it is currently practiced with what he called “New Science” based on three principles , similar to Kitcher’s distinguishing of schemes of values in science. The first two, choice of goals and method, are akin to what Kitcher respectively called cognitive and probative schemes of values. But in his third principle, Grothendieck emphasized that in order for science to get away from what he believed to be its oppressive roots, scientists must liberate people to do their own scientific work, especially work that serves the interests of working people (mainly, Grothendieck believed, focusing on environmental problems). Not only did Grothendieck think that scientific work is improved by actively involving a large part of the population in its production, but he also believed that better science is inextricably linked to the betterment of society. We must call for citizen science not only because it’s better for science, but because it is also better for people. If we on the left want to move science away from focusing on profitable questions, advancing theories that justify unequal social relations, and alienating the public, then we must organize for scientific infrastructure that supports and encourages citizen science, including people outside the academy at all levels of the scientific process and allowing all citizens access to the means of production of science. One way to work toward this goal is to increase funds for publicly supported institutions that support this radical view of citizen science. One such institution is the Natural History Museum, London, which states in its “ten principles of citizen science”  that citizens should be allowed to participate at multiple levels of the scientific process and that papers and results from citizen science projects should be publicly available. A more radical way of expanding citizen science would be to demand the creation of alternative colleges and other institutions where members of the public can be educated on scientific topics as well as use laboratory materials at will, with professional guidance and supervision when necessary. These institutions should be committed to schemes of values that emphasize problems relevant to society, but they should not, as Grothendieck believed, abandon “science for its own sake” for exclusive focus on problems related to people’s material needs. Instead, we must ensure that scientific work, whether applied or for its own sake, progresses in ways that are not oppressive or supportive of capitalism. The means of production of science are currently, for the most part, locked behind the doors of academic and corporate institutions, available for use solely by specialists. Research funding has become stagnant, or close to it , for many disciplines other than profitable ones like math and computer science. By demanding radical inclusion of citizens in the process of science, we will be able to counter many researchers driven by profit and academic prestige with ones dedicated to independent interest and social welfare. Of course, including citizens in science alone will not save disciplines with declining job prospects and grant success rates like paleontology and astronomy, and it will be difficult to challenge the schemes of values of privately funded institutions that will likely refuse public demand for citizen science. In order to save these disciplines, we need to solve the bigger problem of disproportionate support of science for profit, military, and other similar purposes that serve the interests of capital. One of the most pernicious effects of science under capitalism is the production and advancement of theories, most commonly in the social sciences and biology, that justify unequal social relations. Demanding the establishment of publicly funded institutions where citizens can learn and practice science will lead to the production of research that is less influenced by capital and more influenced by diverse schemes of values. Kitcher advocates for science that follows democratically-informed cognitive schemes of values, which give priority to answering questions of greatest significance and urgency to all people. Establishing democratic processes for determining scientific priority could move fields away from what Grothendieck called “scientism,” or the idea that science is free of values when, in reality, much of current science shares the values of industrial capitalism. Representing schemes of values that prioritize the urgent issues of society will also increase public trust in science. Previous studies have found that open access and full disclosure of scientists’ data and values could actually decrease the likelihood that people will trust the results , but it seems that the problem is not with transparency itself. Rather, the issue lies in the strong disconnect that many people feel with science, often due to different values and poor science communication . Levins points out in “Class Science and Scientific Truth” that working people often have justified resentment about the oppressiveness of modern science and technology. This resentment causes feelings of alienation from science, and it gives rise to anti-science sentiments and mystical ideas like creationism (though mystical and outlandish ideas are certainly not exclusive to people outside the academy). Specifically about creationism, Marxist biologist Richard Lewontin argues that impoverished people in the American South have sought to retain their cultural and religious values while their economic and political lives seem to be controlled by wealthy bankers and corporations, and this has led to widespread denial of evolution to this day . Lewontin’s explanation places the persistence of creationism as an ideology in historical context, and his materialist framework is useful for thinking about other ideas rejected by large parts of the American public like human-caused climate change and the safety of vaccines. Due to historical inequities and injustices, it will take a long time to rebuild the trust in science of many laypeople, and we have to expect that increasing access to citizen science will inevitably lead to some biased work that reflects this alienation. One example of this is the work of amateur environmental and atmospheric scientist Forrest Mims, who is a respected researcher but who also endorses intelligent design and denies that global warming is occurring . But in order to equally distribute the knowledge and means of production of science, we must welcome people with even the most fringe beliefs to test their theories and work on projects that interest them. Only by allowing all people scientific agency can we truly build widespread trust in science. Stephen Jay Gould: What Does it Mean to Be a Radical?